What is Your MBA Recruitment Degree? Your MBA Recruitment Degree Program is a multiple-choice online test examination in which you can participate from your own PC from anywhere around the world. Your test contains 30 questions and you have 60 minutes in a single session to answer your questions. Your test and MBA Degree cost in total USD 597. No other hidden costs or fees involved. In order to pass your MBA Degree examination and obtain your MBA Recruitment Degree you need to correctly answer at least 60% of your test questions. Examination success rate is 98.5%. Register Online for your MBA Recruitment Degree Program. 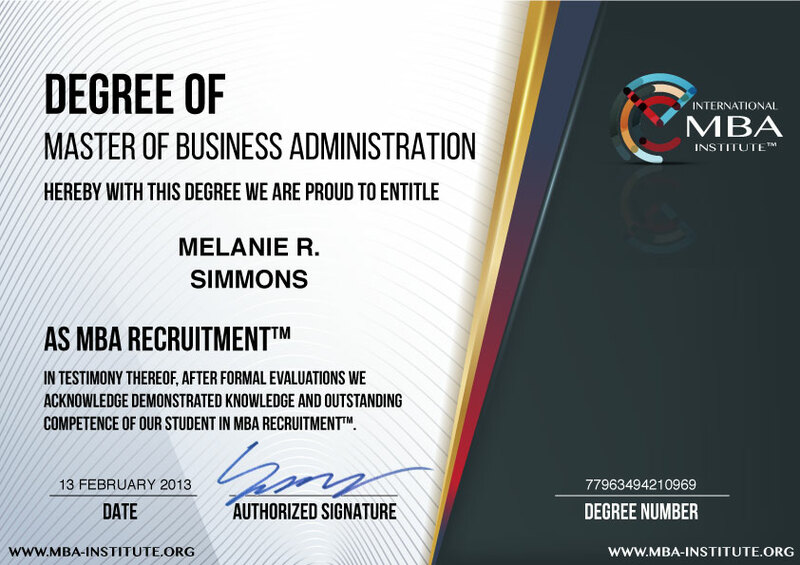 Get your Lifetime and Worldwide valid MBA Recruitment Degree instantly after you finish your Exam. Your MBA Recruitment Degree examination comprises multiple-choice Test Questions. Reading your Online MBA Training Program will be very helpful for MBA Professionals like you to acquire the knowhow to pass your MBA Degree Examination and to get your MBA Recruitment Degree. We guarantee that Your Free of Charge Premium Online Training will make you pass Your MBA Recruitment Degree Exam! Why MBA Recruitment Degree is extremely Valuable for You, for Your Employers and Clients? MBA Recruitment Professionals are using sales, business development, marketing and networking techniques in order to attract best talents from their respective industries. They research and develop good understanding about their enterprises, their work culture and environment in order to anticipate the needs and particular challenges for the business units they serve for. MBA Recruitment Professionals use social media to advertise job openings, attract and build relationships with the candidates. They headhunt suitable candidates who are not actively available in the job market by identifying and approaching them. MBA Recruitment Professionals organize remote and face-to-face interviews, they use techniques to assess personal and professional fit of their candidates to particular job openings. They proactively brief the candidates about the responsibility, benefits and challenges about the job opening. 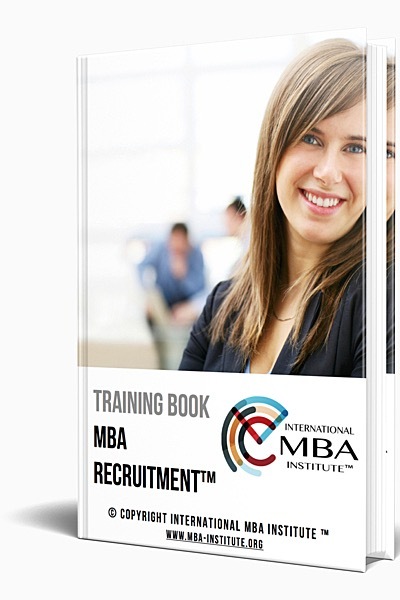 MBA Recruitment Professionals participate the decision-making process in terms of appropriate grades, career levels and benefits offered to candidates. They manage to find the subtle balance to appropriately compensate new hires whereas they optimize the labor costs for their enterprises. They actively contribute negotiations about final offers, and they help the successful candidates during the very initial stage of their integrations to their new positions.